Happy National Pina Colada Day, a celebration of the national drink of Puerto Rico! 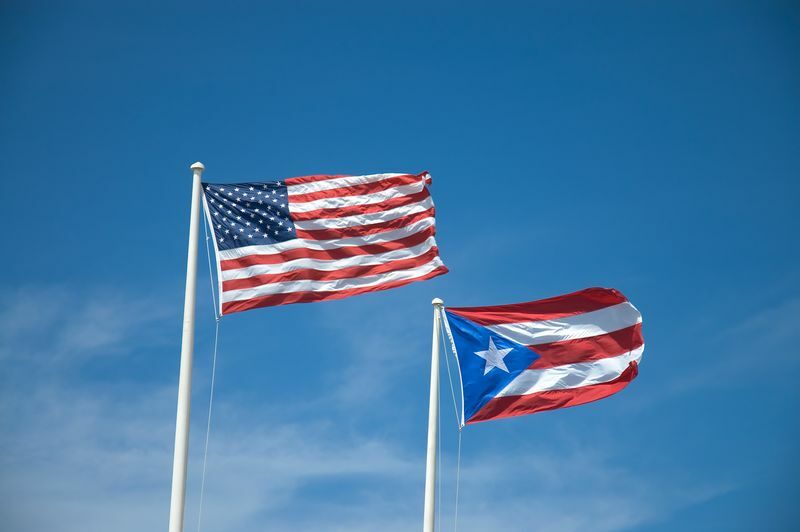 Last year's observance was inspired by the success of A 51st star for Puerto Rico on Flag Day, so I will continue the tradition by examining the progress and prospects of statehood for Puerto Rico. Fortunately, I have good news on that front, as Newsy reported Bipartisan bill would make Puerto Rico a state on June 27, 2018. Newsy mentioned Representative Stephanie Murphy. Watch as she helps introduce the bipartisan Puerto Rico Statehood Bill. I rise to express my support for bipartisan legislation to begin Puerto Rico’s transition to statehood. There are over three million U.S. citizens in Puerto Rico, and over five million individuals of Puerto Rican heritage in the states. My central Florida district is home to more Puerto Ricans than nearly any other district in the country. I care deeply about Puerto Rico because my constituents care deeply about Puerto Rico. But every Member of Congress should care because Puerto Ricans are our fellow citizens. We’re part of the same American family. Puerto Rico has been a territory for 120 years. Its residents are treated unequally under key federal laws. This impairs economic progress and quality of life, spurring migration to the mainland. In addition, even though Puerto Ricans serve in the military with distinction, they cannot vote for their President and commander-in-chief, have no senators, and have one non-voting delegate in the House. The hard truth is that Puerto Rico’s lack of political power too often makes it an afterthought in Washington, as the federal government’s poor response to Hurricane Maria made painfully clear. I support statehood because I support equality. The people of Puerto Rico deserve the same rights and responsibilities as their fellow citizens in Florida and every other state. Puerto Rico has earned its star on the American flag. Murphy isn't alone among Florida politicians in thinking this. On June 30, WPLG reported After Hurricane Maria, Sen. Nelson says Puerto Rico should move toward statehood. Nearly a year after Hurricane Maria, Sen. Bill Nelson made a South Florida stop, saying Puerto Rico should become a state. I'm with both Murphy and Nelson on this one. Follow over the jump for four pina colada recipes from Tipsy Bartender to celebrate the both the day and the bill. I begin with a Blue Piña Colada. 1. Rim the edge of a glass with coconut shavings. Set aside. 2. In a blender with ice, combine light rum, pineapple juice, and cream of coconut. Blend thoroughly until smooth. 3. Pour the blended mix into the rimmed glass and gently pour some blue curaçao syrup around the edge. 4. Garnish with a cherry and insert a mini coconut rum bottle. DRINK RESPONSIBLY! Next, Strawberry Banana Piña Colada. I continue with Midori Piña Colada. 1. Add ice, melon liqueur, coconut rum, cream of coconut and pineapple juice to a blender and combine until smooth. 2. Pour mix into glass and garnish with a pineapple wedge and cherry. Enjoy responsibly! I conclude with Pink Colada. PREPARATION 1. Add ice, white rum coconut rum, lime juice, cream of coconut and grenadine to blender. Blend until combined. 2. Pour mix into glass and garnish with a lime wheel and cherry. Enjoy responsibly! I'm not done with Tipsy Bartender and booze holidays, as tomorrow is National Mojito Day. Stay tuned for more recipes!